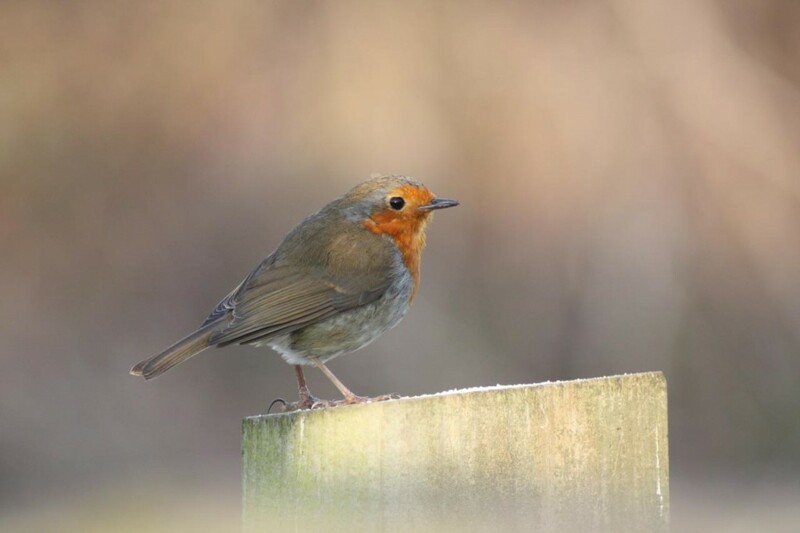 My favourite Christmas cards are those featuring robins, so here’s a picture of one taken at Woodlands Farm to accompany my season’s greetings. 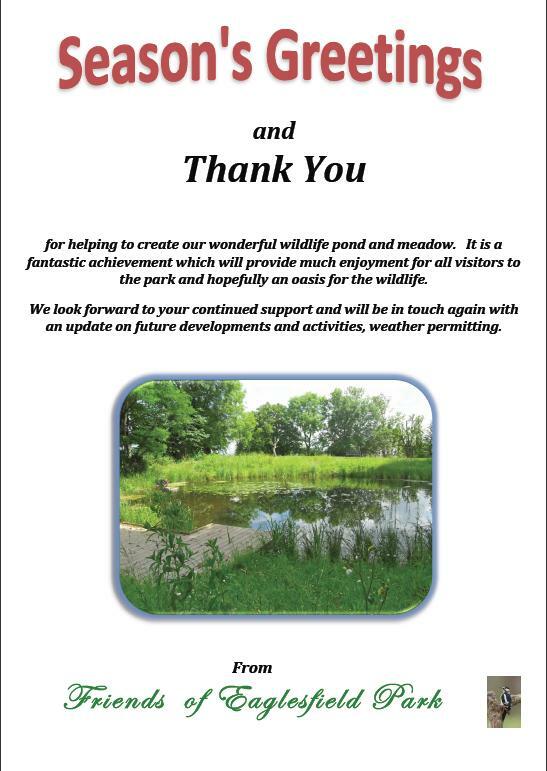 Season’s greetings too from Madeleine at the the Friends of Eaglesfield Park, with thanks to all the volunteers who helped to create the wildlife pond and meadow at the park. 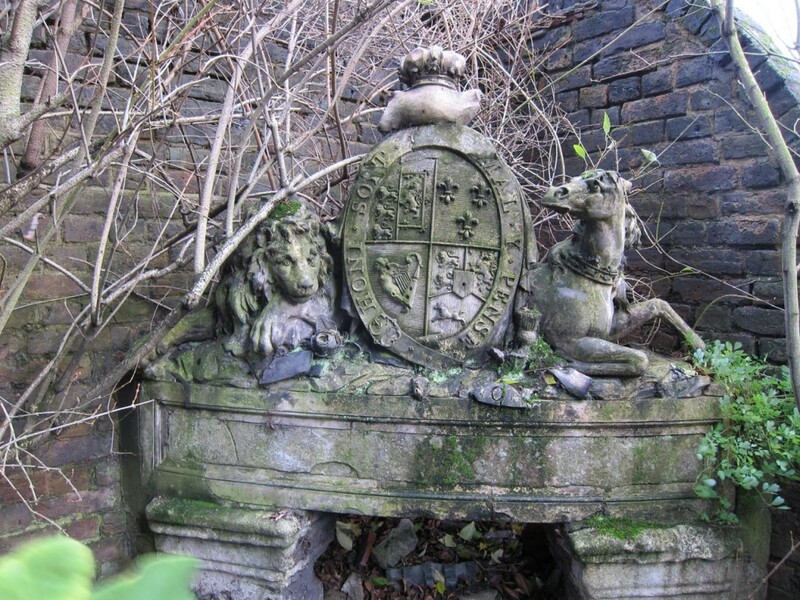 Ever since I was shown the stone coat-of-arms (above) hidden in a Shooters Hill garden I’ve been curious about what it was, where it came from and how it got there. It looks like a royal coat of arms. The garter inscribed “Honi soit qui mal y pense” surrounding the shield shows that this is the coat of arms of a Knight or Lady of the order of the garter, and appears on royal coats of arms used in England. There is also, to my eye, a small fragment of a motto scroll under the shield with what could be the O and part of the M and N of Dieu et mon droit, which is the motto of English monarchs. 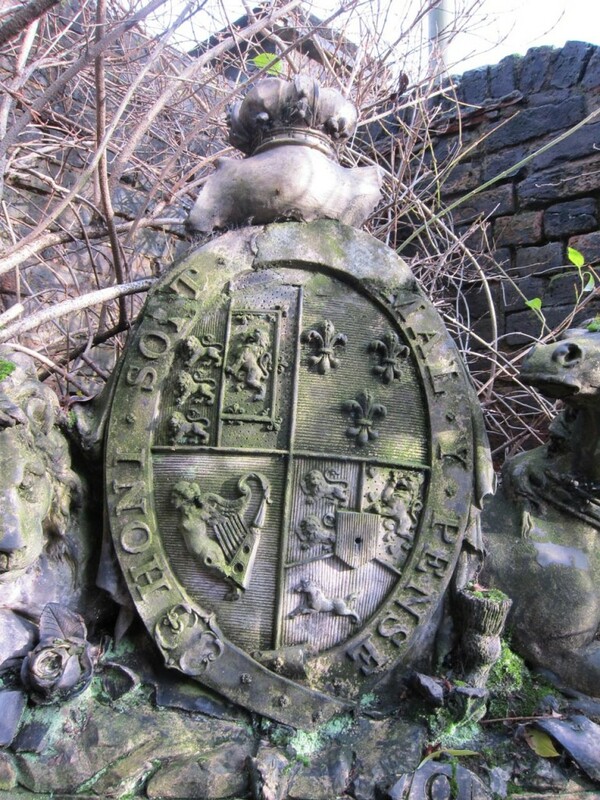 That it is a royal coat of arms has suggested to some people that the stonework originated at Shrewsbury House, which has a royal connection. Princess Charlotte of Wales, the daughter of the future King George IV, had lived there from the age of 3 in 1799 possibly until 1804, under the care of her governess Lady Elgin. This suggestion doesn’t seem quite right to me, for a couple of reasons. Firstly because pictures of the old Shrewsbury House don’t show the coat of arms, and the style of its architecture doesn’t seem consistent with the style of the stonework. More convincingly though, the details of the heraldic symbols on the shield suggest an earlier date and an association with the first Hanoverian monarchs George I and II rather than George III and IV. The Elector of Hanover inherited the throne following the death of Queen Anne under the provisions of the Act of Settlement 1701, becoming King George I. The fourth quarter of the arms was changed to reflect the new King’s domains in Hanover (Brunswick–Lüneburg, surmounted by the Imperial Crown of the Holy Roman Empire for the Holy Roman office of Archbannerbearer/Archtreasurer). There is a hole in the stonework where the Imperial Crown of the Holy Roman Empire would have been; perhaps this indicates that a representation of the crown in a different material was fixed to the arms. The fleurs-de-lis in the second quarter are a reminder of the English monarchs’ claim the French throne, going back to King Edward III. The later Georges dropped this claim and removed the fleurs-de-lis from the arms. 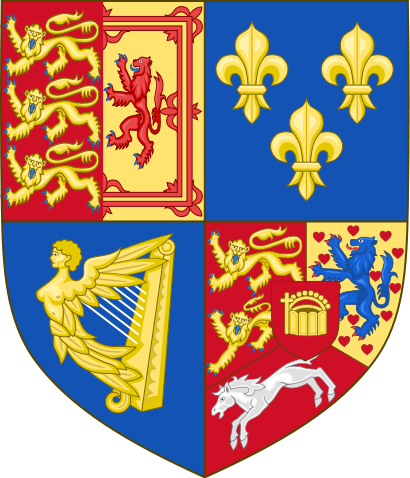 This coat of arms was used from 1714–1800 when the union of the Kingdoms of Great Britain and Ireland necessitated a major change. The old Shrewsbury House was built in 1789 when these arms would have been current, but there isn’t a known royal connection there until the princess in 1799. If not Shrewsbury House where else could the stonework have come from? 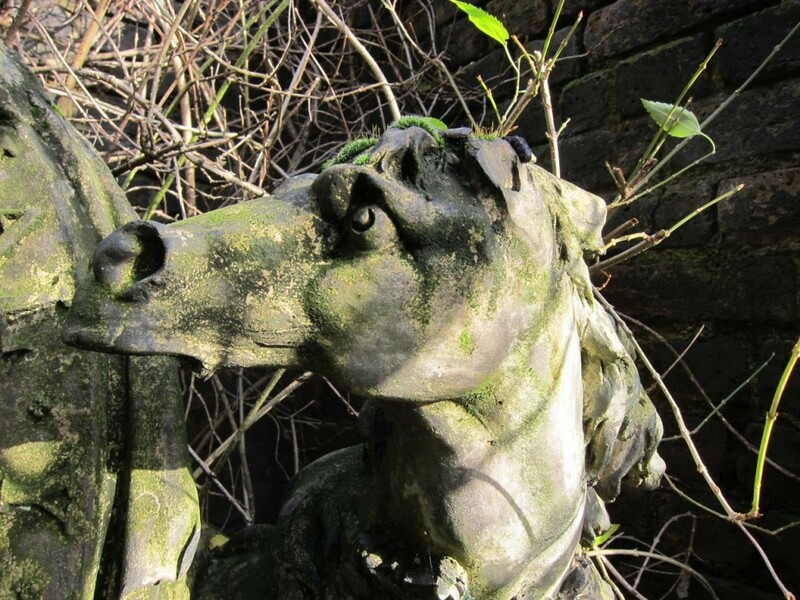 Most of the mansions and grand houses of Shooters Hill seem to have been built in Victorian times, in the middle of the 19th century, and where there are photographs there is no sign of the Hanoverian royal coat of arms. 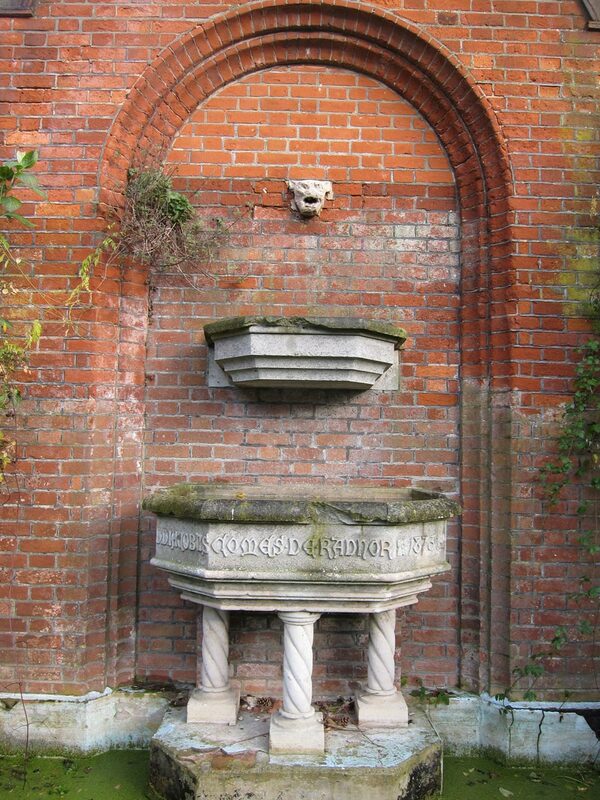 I’ve checked pictures of Castlewood House, Falconwood House, Warren Wood, Jackwood and Shrewsbury House and none of them show stonework like that in the image above. Colonel Bagnold mentions a couple of older residences. One was Broom Hall, built by John Lidgbird in 1733, which he describes as “a handsome Georgian house”, demolished in 1937. He doesn’t mention a royal connection, and I haven’t found any pictures other than the colonel’s sketch of a set of shutters with John Lidgbird’s initials written in clout nails. Blomefield House, just to the west of Broom Hall, appears to have been in existence in 1720 and got its name from General Sir T. Blomefield who lived there and was Superintendent of the Royal Gun Factory from 1780. Again no royal connection, and no images of the house. However both these older properties are worth following up as possible sources for the arms. Our first Hanoverian, George I, is credited with founding the Artillery in 1716 when he issued a Royal Warrant to set up two permanent field artillery companies of 100 men each based at Tower Place in the Royal Arsenal at Woolwich, so I wondered whether the coat of arms could have come from one of the many historic military buildings in Woolwich that have since been demolished. On the 1866 Woolwich OS map there is a Royal Marines Barracks on Frances Street, known as the Red Barracks, then nearby the Cambridge Barracks and also a Royal Engineers Barracks, the Grand Depot Barracks, between Woolwich New Road and Love Lane where the Tesco monolith now stands. However the dates of these buildings are 19th century, after the first two Georges, and unlikely to include their coat-of-arms. So no final answers to my questions about the cost-of-arms, yet, but there’s some interesting lines to follow up on. Well Hall Road on the South Circular could be closed for another two days while Thames Water fix a burst water main near the junction with Westmount Road, just outside the entrance to Greenwich Cemetery. The road is closed from the Well Hall roundabout to Shooters Hill Road for all but local access traffic. This had led to traffic jams and long delays in the last couple of days as traffic tries to find a way round the blocked section of the busy South Circular Road. Last night it took me almost 15 minutes to drive from the Well Hall Road traffic lights up to the Bull because there was so much stationary or slow-moving traffic. Alternative routes are quite a distance – either via Falconwood to the east or westward down to the A2, as you can see on the Google Maps snippet below. It is possible for non-HGV traffic to get round the closed road by going down Broad Walk and along Rochester Way, and north-bound traffic is directed this way by Diversion signs. However Broad Walk is a residential road, with speed bumps, cars parked on both sides of the road and a seven foot width restriction at the Well Hall Road end, so is likely to be congested in the rush hour. Burst water mains seem to be a big problem in the current cold weather. According to an article on the Utility Week web site numbers have increased in London and the Thames Valley by 50% since the start of December, with about 1000 leaking or burst pipes being reported to Thames Water. Further update: The road was fully open this afternoon, 13/12, so I guess they must have finished quicker than expected. I returned to the maps room at the British Library this week to have a second look at the volume of Victorian house sales literature where I discovered the 1873 description of Shrewsbury House. This time I opened the heavy volume at the pages describing the estate and house called Mayfield, though it was also at one time known as Jackwood House. I’ve included the full transcript of the estate description at the end of this post, though again without trying to reproduce all the different font styles and sizes of the original. The brochure includes three pictures: of the mansion house; its library and the lodge house. The house itself is in a style that would now probably be known as mock Tudor, with half timbered upper floors, but was then known as the Old English style. 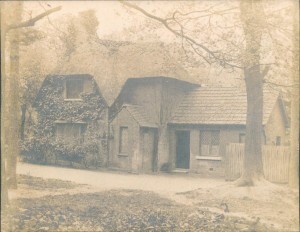 It was demolished in 1927, but the lodge remains as do one of the garden terraces, the walled “Mysterious P” garden, and some of the ancillary buildings. The latter are now used as council offices, but still retain some of the style of the mansion house though nowhere near as elaborate. The drawing of the lodge in the sales brochure shows a pretty little, ivy-clad, thatched cottage, identical to the building in the picture on the left below, which is a scan of a photograph in Greenwich Heritage Centre‘s Shooters Hill collection. 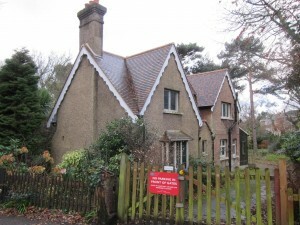 On the right is the lodge as it is today; no longer thatched and with an extension on the right hand side. 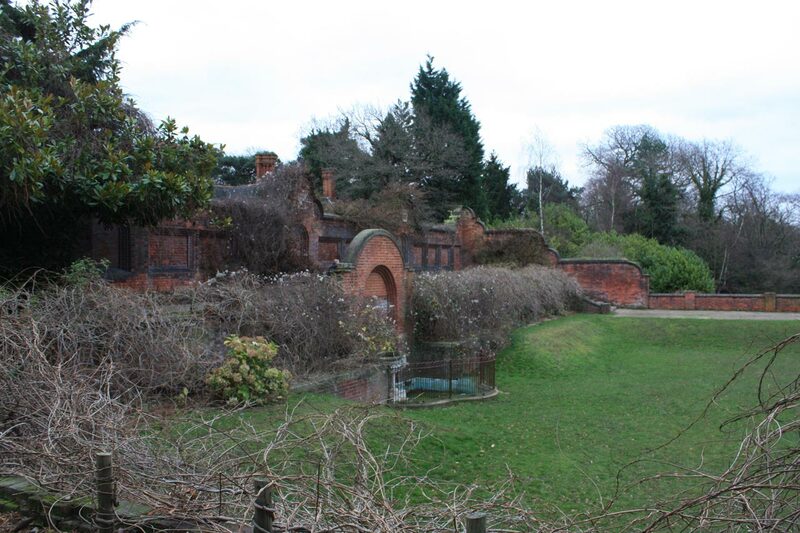 The plan of the estate includes the layout of the gardens and grounds. The terrace that survives today was to the west of the house, as you can see in the snippet from Alan Godfrey Maps‘ reprint of the 1894 Ordnance Survey map of Shooters Hill below. The semi-circular fountain in the photograph at the top of this post is marked at the centre of the terrace, and the L shaped ancillary building and the lodge also appear on the map. However the estate plan shows several features that aren’t on the OS map. 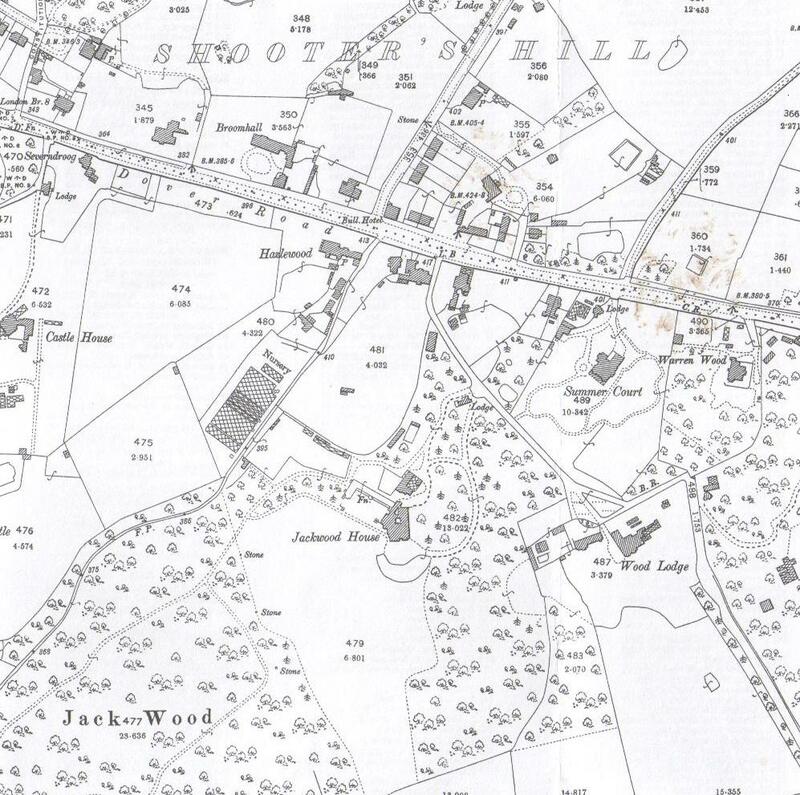 The plan shows the 130,000 gallon reservoir in the arrow-head shaped area of land to the north of the lodge – in the fork between where Crown Woods Lane and Kenilworth Gardens are now. The gardens south of the mansion included what looks like a woodland walk and a circular “Rosary”. Presumably this was where Lord Penzance pursued his passion for rose growing. There’s no trace of the woodland walk and rosary now – the area is completely covered with trees and undergrowth. D.D. IACOBUS COMES DE RADNOR 1873. It’s a long time since I took Latin “O” Level, and even then I needed two attempts to pass, so it took a while to work out what this meant. I found D.D. quite easily – it stands for De Dato meaning This Day. IACOBUS can be Jacob or James – must be James Wilde I thought. COMES was more difficult; the online Latin dictionary gave comes comitis : companion, friend, comrade / count, though the only usage I saw fitted the latter translation better. RADNOR, I assumed, referred to his wife’s family association with the Earldom of Radnor. So it could be commemorating James Wilde’s companionship with Mary of Radnor… then I noticed that successive Earls of Radnor are alternately called William and Jacob, and that Mary’s brother was called Jacob, so the inscription could be referring to Jacob, the 4th Earl of Radnor. Why? I didn’t know. The house was in first instance called “Jack’s Wood,” probably in contraction of “Jack’s Hill Wood”; that name was soon changed to “Mayfield” and later to “Jackwood”. It is said that the architectural details of the house were largely taken from the historic Haddon Hall in Derbyshire. Lord Penzance did not long continue to occupy “Jackwood House” for his lease, granted in 1863, was assigned to Viscount Folkestone and the Hon. G.W. Fitzgerald in 1874 or earlier, and in 1875 to Mr John Harvey who, in 1877, put the place up to auction. This fits in with the wkipedia entry on Jacob Pleydell-Bouverie which says that he was called Viscount Folkestone from 1828 until 1869. The one thing that’s still not clear to me is whether there was another house on the site before Lord Penzance took out his lease in 1862. Partly this is because Margherita Arlina Hamm’s “Eminent Actors in Their Homes” claims that “the homestead dates from the fourteenth century”, and also the different shapes of the mansion house in the 1866 and 1894 OS maps. It could be that Margherita was fooled by the Old English style of the house, and that the 1866 map was based on an old or incomplete design of the mansion which may still have been being built when the map was compiled. But that question will have to wait for another day. Crays,” Erith on the River Thames, and other of the most interesting parts of the county. 21A. 2R. 25P. OR 44A. 0R. 25P. For Sale with Possession by Messrs.
At Two o’clock punctually (unless an acceptable offer be previously made). extending to the Kent and Surrey ranges of hills. grounds, which are protected by a pretty Thatched Rustic Lodge. carved finials; a coil of hot water pipes. a w.c., &c.
on high ground for the water supply of the premises, and as a security against fire. There is also on this Floor a Housemaid’s Closet, with water laid on, and a w.c.
On the GROUND FLOOR – A glazed Outer Porch, leading to a lofty Hall, measuring about 26ft. turned balusters. the Hall and Landings are also fitted with hot water pipes. piece, two bay windows, and china closets; the ceiling ornamented in plaster. lars, Knife House, Coal House, w.c., &c.
Fountains and the Cascade. There is also a Dipping Well of excellent water. for Coachmen over; large Coach House, with two pairs of folding doors. a Chemists Laboratory, and has gas and water laid on. The Turret over has an expensive Dial Clock, which chimes the quarters and strikes the hours. Shop, and a Cart Shed. Panoramic Views of almost unrivalled beauty. Trees and Shrubs of most luxuriant growth. And afford here and there glimpses of the most charming scenery. as should be expended by Her Majesty’s said Commissioners in the redemption of tithe rent charges. were hired of the neighbouring farmer, and no doubt could be so again, if desired. to render it a desirable purchase for a Nobleman or Gentleman requiring a House near London. Possession on completion of the purchase. at the time of sale, are to be taken at a Valuation in the usual way. a Sale by Auction on the Premises before the completion of the purchase. 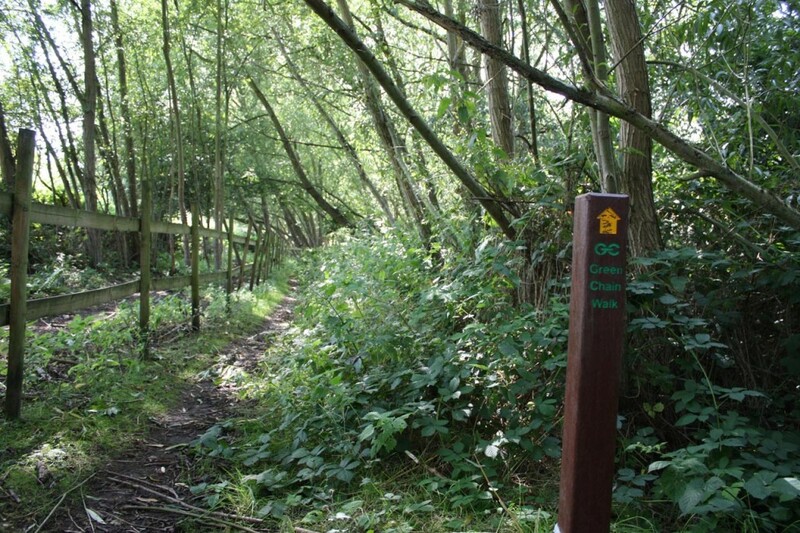 Conservation and improvement of biodiversity are central to what Woodlands Farm is trying to achieve, and their efforts have been recognised by accreditation to Natural England’s Higher Level Stewardship Scheme. Their conservation work includes management of grazing land as traditional hay meadows, restoration of farm woodlands to benefit wildlife and the laying of new hedgerows. If you’re interested in learning how to lay hedges using traditional methods then go along to the farm at 10.30am tomorrow, 9th December, when there’s a Farm Conservation Volunteer Workday. 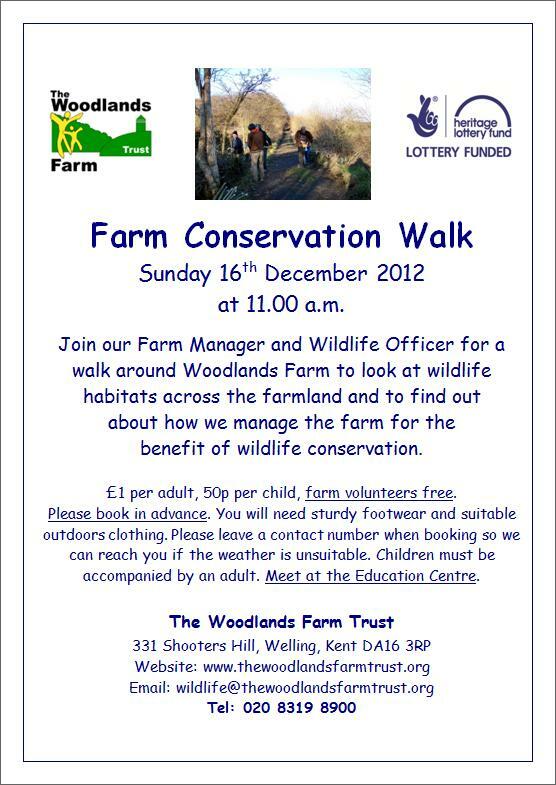 Join our Farm Manager and Wildlife Officer for a walk around Woodlands Farm to look at wildlife habitats across the farmland and to find out about how we manage the farm for the benefit of wildlife conservation. 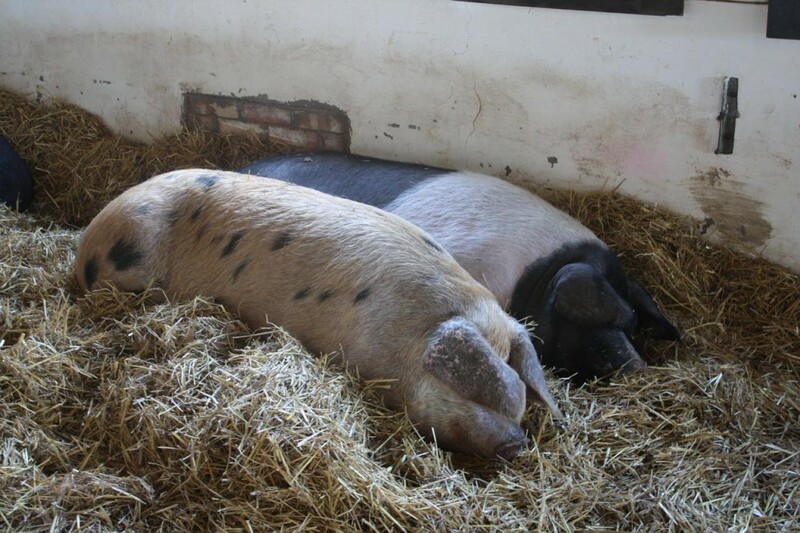 £1 per adult, 50p per child, farm volunteers free. Please book in advance. You will need sturdy footwear and suitable outdoors clothing. Please leave a contact number when booking so we can reach you if the weather is unsuitable. Children must be accompanied by an adult. Meet at the Education Centre. The farm’s new neighbour, the Equestrian Centre, is close to completion – the project plan on their fence shows that building work ended in October. It is a state-of-the-art facility, with a well-equipped equine therapy centre, stabling for up to 24 horses, a deep, swim-through pool for horses and an indoor dressage arena with spectator seating. There was a lot of local opposition to the plan to build the centre on Metropolitan Open Land, and concern about its impact on the farm’s conservation work. I’m sure the farm will be monitoring this closely, and on the plus side maybe they now have a nearby buyer for their hay. There are also safety concerns about horses crossing the busy Shooters Hill Road – a new crossing has been built, though it looks to me more like a Pelican than a Pegasus crossing – and worry about the ecological and other impacts of horses riding through Oxleas Wood. 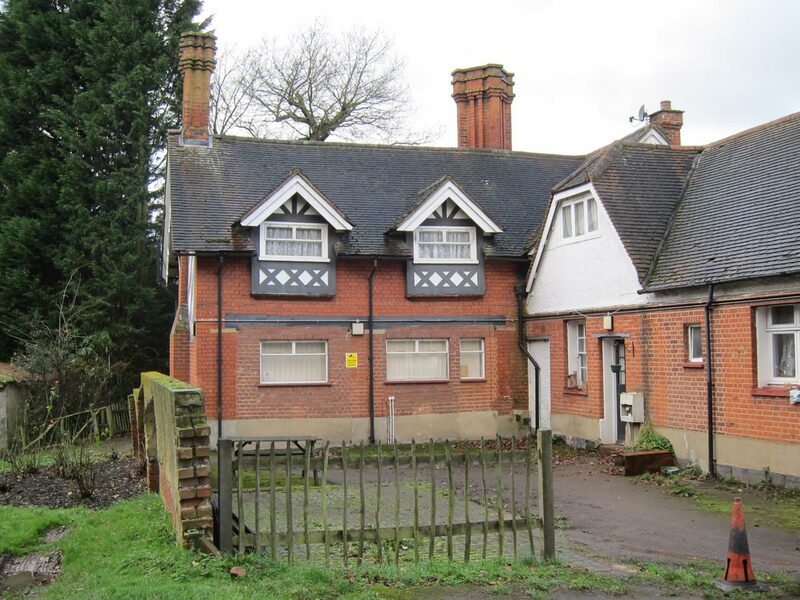 a community use scheme shall be submitted to and approved in writing by the Local Planning Authority. 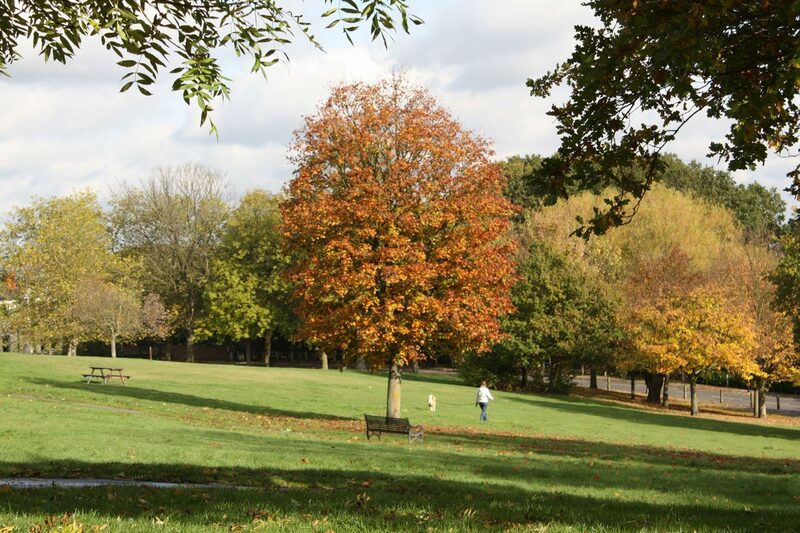 The agreement shall allow for a minimum of 82 hours of community access each week and set out how residents of the London Borough of Greenwich will have priority access to the community facilities. It’ll be interesting to see whether, and how, things change after the farrm’s new neighbours move in. 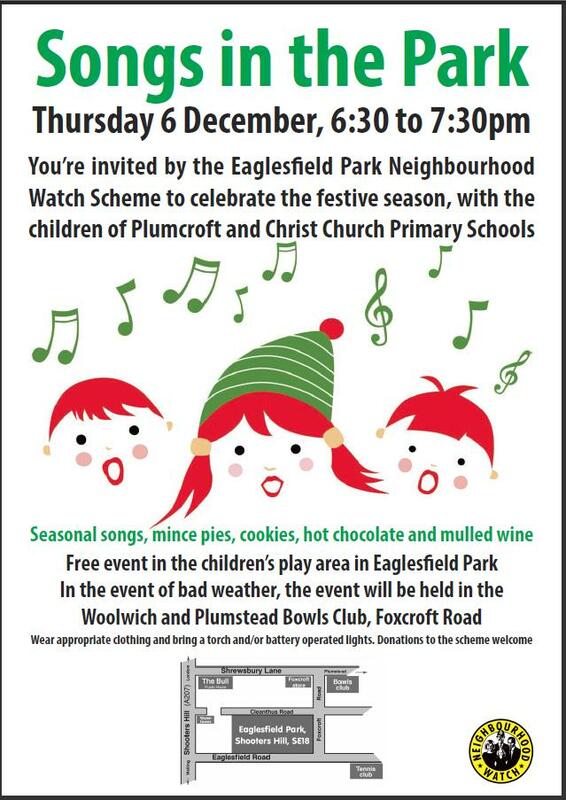 I am delighted to confirm that the Eaglesfield Park Neighbourhood Watch Scheme is hosting our first ever Songs in the Park event on Thursday 6 December, from 6:30 to 7:30pm in the children’s play area in Eaglesfield Park (weather permitting). If the heavens open, the entire event will be hosted in the Woolwich and Plumstead Bowls Club! We would be delighted if you would join the EPNWS scheme co-ordinators, plus 60 children from Plumcroft and Christ Church Primary Schools to sing up to 12 festive songs and enjoy some mulled wine and mince pies. The event showcases the terrific partnership work between Plumcroft and Christ Church Primary Schools and Neighbourhood Watch and helps to promote community spirit. Please wear appropriate clothing and come armed with a torch and/or battery operated lights. The current weather forecast for Thursday evening is light rain showers and 4°C, so we’ll need to wear warm clothing and bring an umbrella. 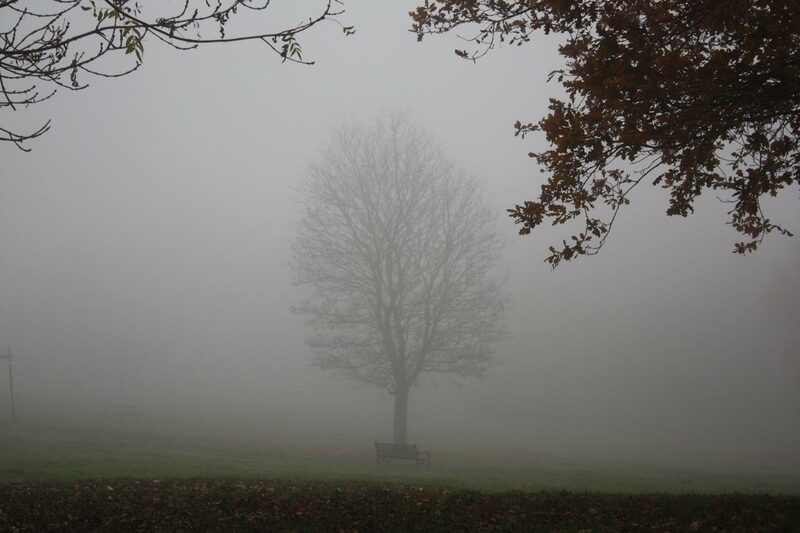 Eaglesfield Park has been particularly beautiful recently – the epitome of autumnal mists and mellow fruitfulness – as you can see in the photographs below, and there are more in my ever-increasing sequence of Lilly Pond photographs on Flickr. My copy of South East Walker, the Ramblers regional newspaper, has just arrived, and once again the Green Chain Walk through Woodlands Farm features in its pages. A letter from farm trustees Barry Gray and Maggie Jones on page 3 and another article by Inner London Ramblers Campaigns Officer Des Garrahan on page 5 represent the latest steps in an ongoing dispute about the (currently blocked) path through the farm. I’ve covered the background in earlier posts. 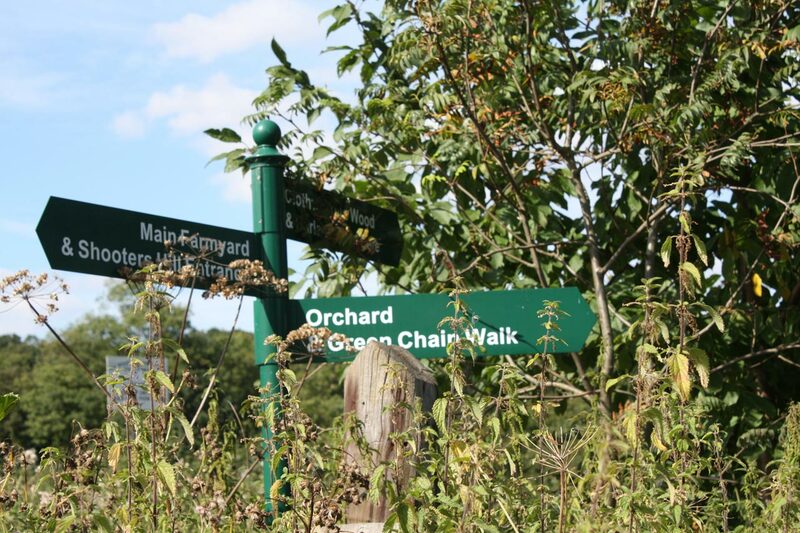 The stage was set for the latest developments at the start of October at the well-attended Woodlands Farm AGM where a motion was raised to authorise the trustees to negotiate with Ramblers on an alternative route for the Green Chain walk through the farm. This motion was carried almost unanimously, with just two abstentions. As I understand it, the farm’s proposal is that rather than going straight across the farm from the Keats Road/Dryden Road gate the path would turn sharp left along the edge of the farm and link up with Footpath 245. 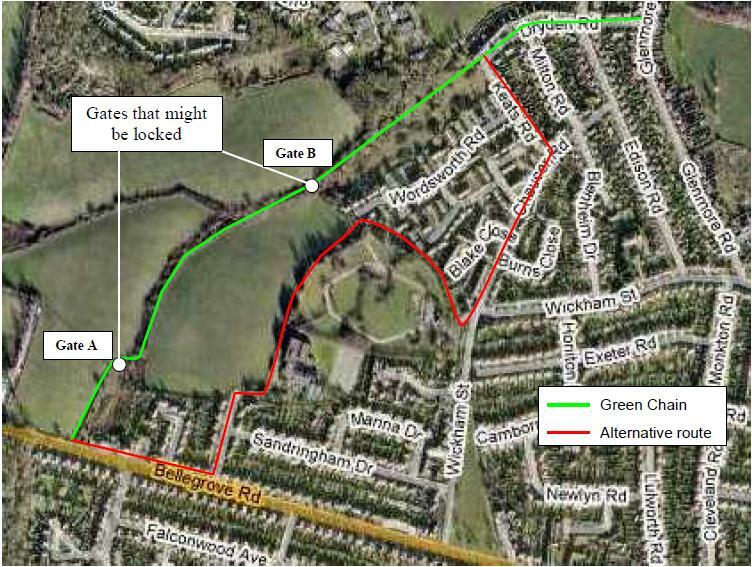 On the map, right, taken from the Green Chain Walk’s “Suggested route if the gates are locked” the farm’s proposed route would go from Gate B to the red alternative route. The farm would pay for this to be fenced, in the same way as Footpath 245, preventing access to the farm’s field. Much is at stake here and cool heads are needed. We are reasonable people and not ogres. We suggest that Mr Garrahan calms down a little, gets his facts right and, would it be too much to ask; that he comes to talk to us at Woodlands Farm, particularly as he now has the added responsibility of being a trustee on the Ramblers’ board. We are not depriving people of the ability to walk in our fields. Subject to the movement of stock they can visit and see what a volunteer-run trust can do to preserve and improve wildlife and biodiversity so near to the centre of London. What they cannot do at present is walk through as if it were a public route. In a week when we were reminded of the burglary and vandalism at the farm earlier in the year by @MPSGreenwich’s tweet: “3 teenagers who damaged and burgled #Woodlands Farm have received suspended sentences, curfew orders & electronic tagging”, it’s clear that Woodlands Farm are right to be concerned about their security. 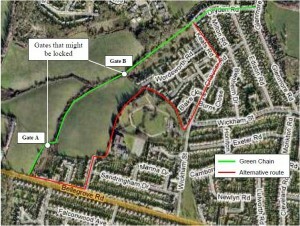 Des Garrahan’s article, Blocked Green Chain Walk at Woodlands Farm, is an update on “the campaign to to remove the obstructions blocking the Green Chain Walk at Woodlands Farm and get this part of the route established as a public right of way.” The current phase of the campaign is the collation of witness evidence, and he asks for people who have walked the path through the farm, particularly if it was before 1992, to get in touch with Des at Ramblers’ Central Office. This officer level working party was set up in 1975, comprising Planning Officers from the authorities, and has been in existence ever since. Shortly after this a Joint Committee of Members was set up. This is for the main part composed of the Chairmen or Vice-Chairmen of the constituent authorities Development Control and Recreation Committees. In the case of both the Working Party and the Joint Committee, the Greater London and South East Regional Sports Council are represented. It should be noted that prior to its demise, the GLC was also involved and in fact at officer level provided considerable input. The officer level Working Party meets at two monthly intervals and the Joint Committee twice a year. The Green Chain Joint Committee is formed of councillors from the five boroughs; unfortunately the Greenwich Council web page link to give further information about the committee and access to agendas and minutes just leads to a blank page, and the committee has no meetings shown in the council on-line calendar for the last year or the next six months. I’m very surprised that these bodies which are responsible for the running of the Green Chain Walk haven’t taken a more active role in mediating in the dispute. In the meantime the gates are still locked and walkers are being inconvenienced when they try to walk the Green Chain. I still believe the various parties to the dispute should get together to talk about possible resolutions rather than waste charities’ money on a legal process. Woodlands Farm have clearly communicated what they are trying to achieve, made a proposal for resolving the problem and issued an invitation to talk. The ball now seems to be in Ramblers’ court.